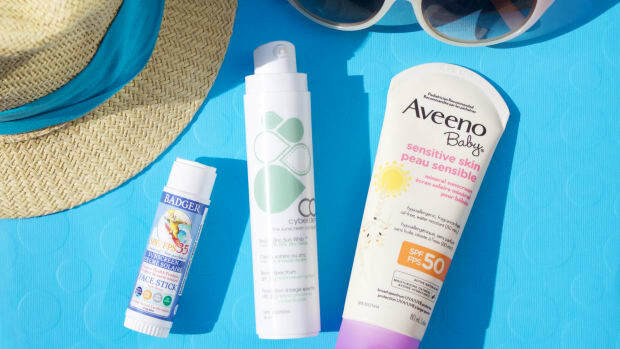 Summer&apos;s right around the corner—and it just wouldn&apos;t be complete without the obligatory sun warnings and sunscreen reminders. Now listen, before you all moan and groan over the ‘SPF-is-your-friend’-spiel you think is coming, let me just say... I feel you. Up until a few weeks ago, I, too, was a non-believer. 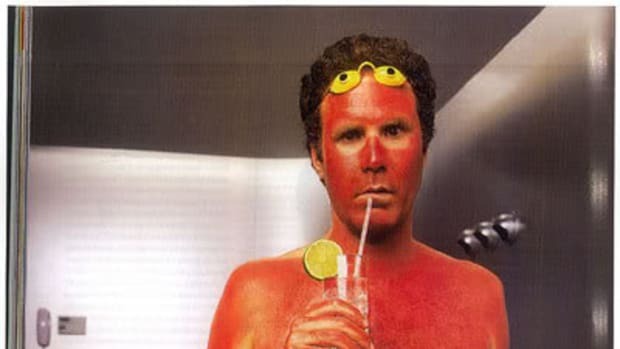 Sure, I would wear sunscreen when I&apos;d go swimming or when I knew I’d be in the sun for more than a couple of hours, but other than that, it just never crossed my mind. I always thought, hey... I’m only 22, my skin is fine and I have a fountain of youth sitting in my backyard which pretty much means I am invincible. Could you blame me for not wanting to wear SPF on the regz though? We all know it’s for our own good, but c’mon... who actually likes the heavy, greasy feel of sunscreen on their face? Definitely not me. But that was before my beauty epiphany of sorts. 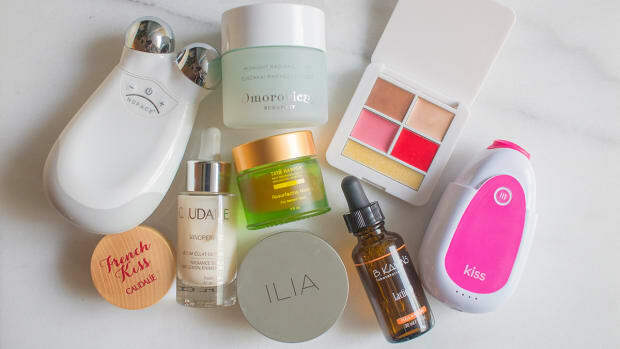 Michelle recently asked me to test out some sun and skincare products, and I swear I’m not trying to be dramatic or anything, but it was a pretty big deal. So I realized that one day I WILL grow old. And I figure I might as well do it gracefully (sans sun spots, leathery skin and skin cancer) with a bit of help from the c*ckblocker that is SPF. My problem? Like many, I thought that the only way to protect my skin from the sun was to use good ol’ sunscreen—thick, white, greasy sunscreen. I didn’t know that you could have sunscreen in a moisturizer until I was given a few to test out. 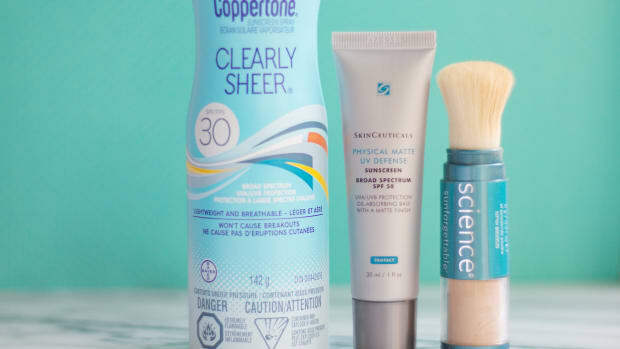 There are also makeup products with SPF protection as well! Talk about having your cake and eating it too. And you know what the best part is? With these products, you won’t feel like you rubbed your face down with a canister of canola oil. Now I&apos;m sure there are a quite a few of you out there who don&apos;t use sunscreen because you don&apos;t think you need to—which is exactly what I used to think as well. I assumed that because I have an olive complexion, I was immune to the sun... negative x2. I may not be as prone to sunburn as those with fairer skin, but it doesn&apos;t mean I&apos;m immune to UV rays and all that good stuff. The sun doesn&apos;t discriminate! (See exhibit A: Kim Kardashian). I&apos;ve been using Aveeno’s Daily Moisturizing Lotion since forever but this has easily become my new fave (sorry Aveeno, you&apos;ve been replaced... for now!). I’m going to be the first to admit that I actually LOVE the smell of sunscreen (it will always remind me of the beach and sitting by poolside in the summertime), which is probably why I liked this moisturizer so much, but to make it onto my permanent beauty prodz list means it is preeeetty amazing. 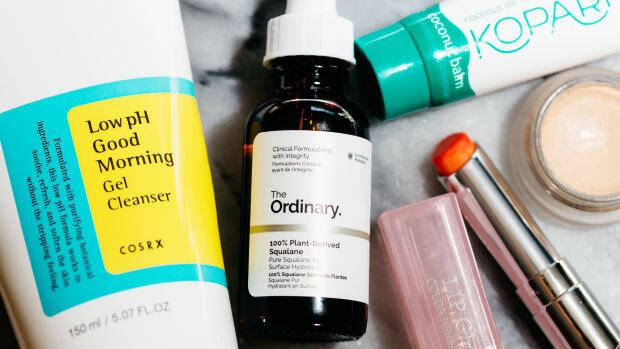 It’s oil-free, so it won’t clog your pores, and the formula is really light (but a little goes a long way), so it won’t leave your skin feeling greasy at all. The one I tried contains SPF 15—which is probably not quite enough, since most derms advise SPF 30, but it has 15 SPFs more than I was using before! (Editor&apos;s note: It&apos;s also available as an SPF 30.) And it doesn’t contain any alcohol, which is a major plus. It also made my skin a lot softer and more glowy looking. Love. If you aren’t a big fan of the sunscreen smell, Olay Complete All-Day UV Moisturizer Combination/Oily is another good one. It too contains SPF 15, but the scent is much lighter than the Neutrogena. It also has vitamin E (an antioxidant that will help to protect and repair your skin) and vitamin B3 (which protects the skin from pollutants and other irritants to help slow down the aging process). What I love about this one is that it&apos;s super-lightweight and is specifically formulated for people with combination or oily skin. 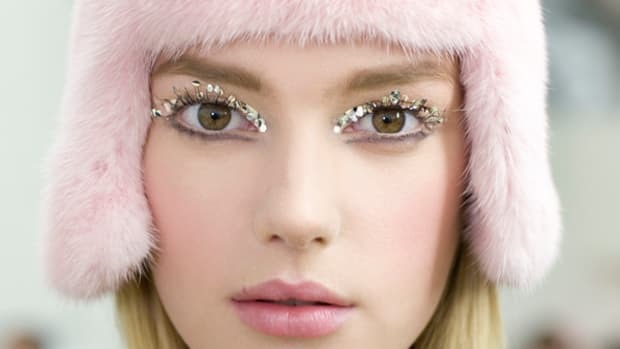 You won’t get that sticky feel on your face that you might get with some moisturizers and it looks great underneath makeup. Now, I’m not just saying this because I am a fan of Aveeno products, but Aveeno’s Daily Moisturizing Lotion with SPF 15 also works nicely. This one is actually meant for your body, but I&apos;m a rebel—I use it for my face too, and it&apos;s fine. So if you’re looking for an everyday all-over lotion with some sun protection, this is perfect. I actually bought this by accident a year or two ago instead of the regular non-SPF body lotion that I normally use, but it worked just as well. The funny thing is that I didn’t even notice a big difference other than the fact that the bottle had SPF 15 written on it. It feels like a normal moisturizer and doesn’t leave your skin feeling greasy like most sunscreens (and I have yet to encounter an Aveeno product that doesn’t leave my skin feeling amazing!). Looks like a powder, goes on like a cream... AND you get the serious bizness sun protection you need. If you aren’t going to use an SPF moisturizer, then something like this is probably the next best thing. If you’ve ever gotten a sunburn on your lips, you know that it is NOT cute and it hurts like a mothertrucker. Trust me. Then there&apos;s the whole lip colour issue. 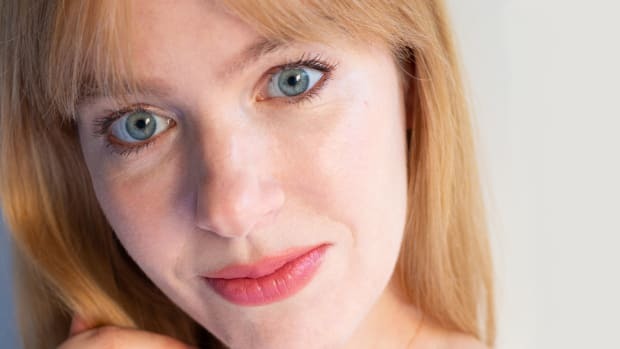 Summer is the best season of the year to experiment with every bright lipstick under the sun—ha!—so chapped and irritated lips are the last thing that you want. Ergo, an SPF lip product is a must. I personally like using Jack Black’sIntense Therapy Lip Balm SPF 25. Besides the sunscreen, it also contains vitamin E and green tea extract. The natural mint in it also freshens your breath (yay!) and leaves your lips feeling nice and tingly so you know it’s working. Do YOU use SPF on the regz, or are you (*cough*) non-compliant like I used to be? Have you tried an SPF moisturizer or makeup product? 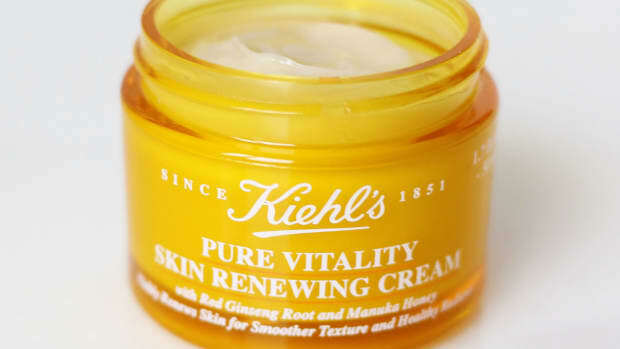 What are some of the items you switch or add to your beauty product rotation in the summertime? And is it weird that I like the smell of sunscreen?! Because you probably didn't plan to get as red as a tomato.